If anyone would have told me two years ago that I would be joining a training camp in the French Alps, I would never have believed it in a million years. Two years previously when I hadn’t even picked up a bike and the idea of riding up hill for fun would definitely have been a crazy concept! Hill climbing is still a personal weakness for me, it’s most certainly not one of my stronger points on the bike. Knowing this however it’s given me something to work towards on the lead up to this trip and I’m a sucker for a beautiful view. This coming trip was making the weekly hill loops in the Charnwood area of Leicestershire a little more bearable. 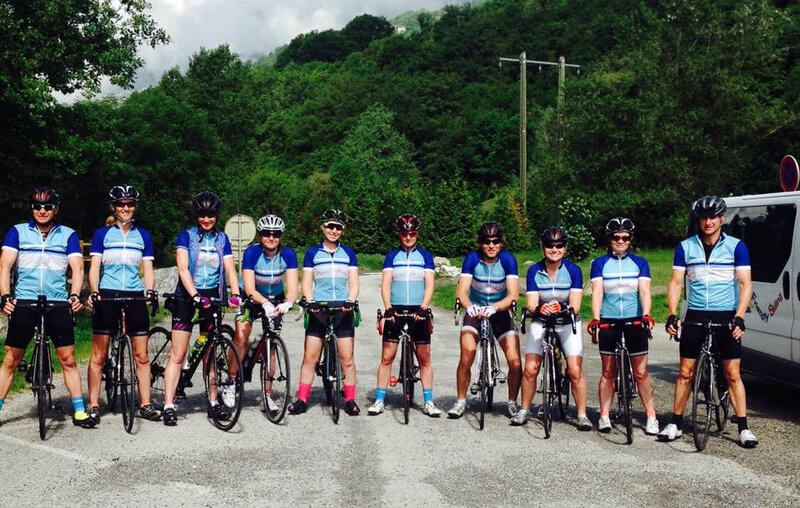 The training camp I have attended was a women’s camp organised and ran by Tri La Tania. 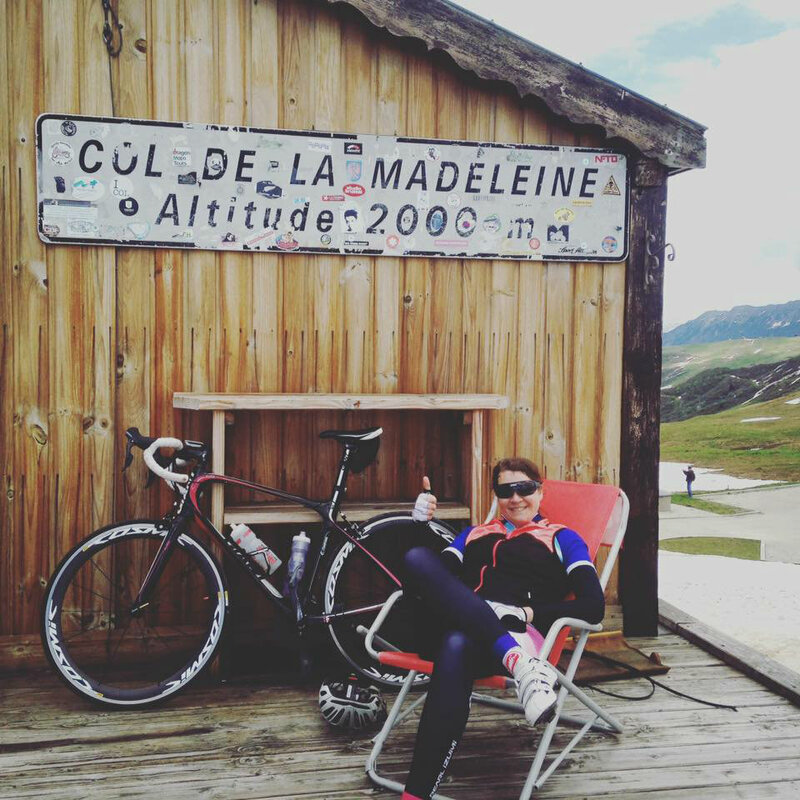 We have had British Cycling coaching, a support team with us at all times, the food has been spot on and have been staying in the most beautiful place in La Tania. For the triathletes there is the option of trail running and a swim in the beautiful lakes, even I have made it in for a swim on several occasions! I have had the pleasure of spending the week with some incredible and inspiring cyclists and triathletes. I’m totally in awe of the triathletes amongst the group, but I think we all went away feeling inspired by one another. Everyone has their strengths but the sense of achievement has been huge. I’m not a natural climber, hill climbing isn’t something that comes easily to me. It’s something I have had to work on, but here I am riding in some difficult terrain with some girls who make it look so easy! It makes it much easier to be part of such an encouraging group and with the great coaching and support everyone felt well set up to achieve great things. It felt like a team. Day 3 was the biggest ride. 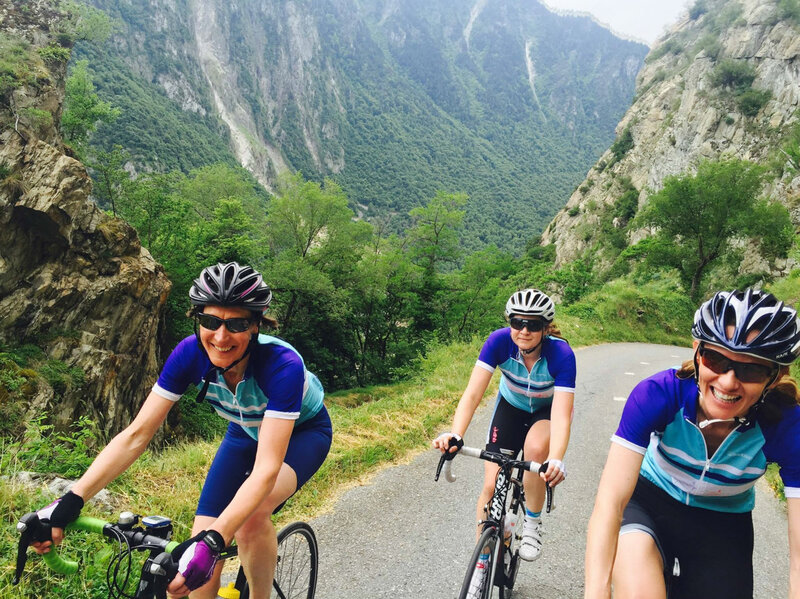 50 miles but a total of 8500ft of climbing to include three Tour De France Cols. Col de la Madeleine, Les Lacets de Montvernier & Col du Chaussy. The evening before the reality of what I was undertaking was looming, all of a sudden I wasn’t quite sure what I expected. Why was I doing this and what did I want to achieve? I just wanted to be able to complete it. 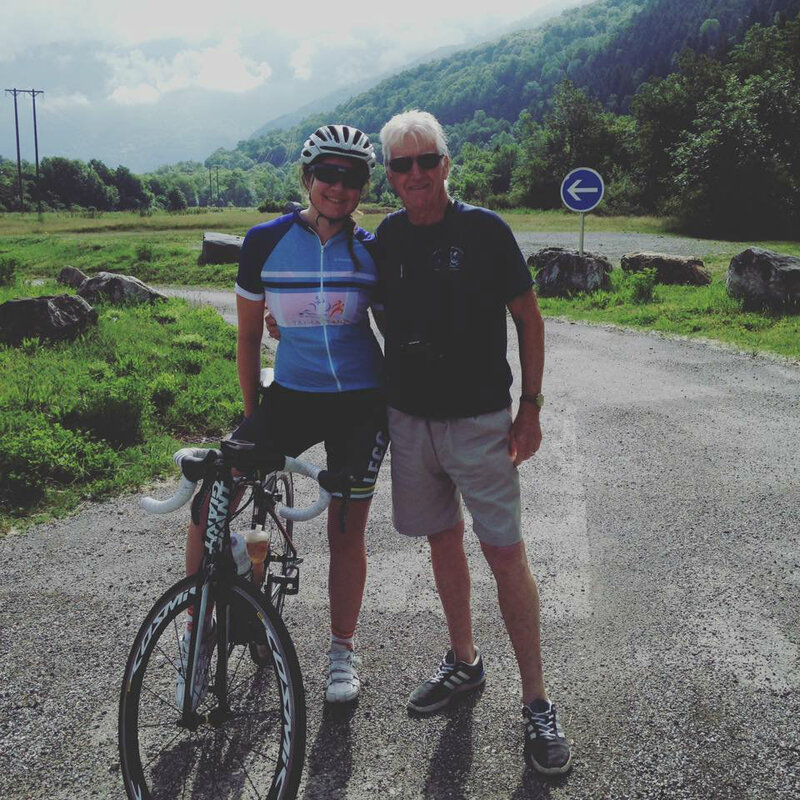 I was out here in France with some amazing female athletes, British cycling coaches and a support team. The environment couldn’t have been more supportive, if I was going to be set up to succeed at any time then this was the one. This I knew, but that doesn’t always stop the doubts and that nervous feeling. That said and not being shy of a little hard grind, I was up for the challenge! Well I did it, not just completed it but really pleased with how I rode it too. Having the coaching support really helped with the pacing on these long climbs. My pacing has never been so bad but left to my own devices on these mountains I would have gone too hard at the start without realising, something to remember for the future. Riding steady from the beginning and at my own pace meant come the last climb I was still feeling strong, leaving some energy to be able to push on near the top of the final mountain of the day. The week had been carefully planned to include rest, an easier ride for recovery and also a time trial on the last day; individual and two-up which was great fun! Over the week we climbed just under 30,000ft which for me is by far the most elevation I have ridden in a single week. 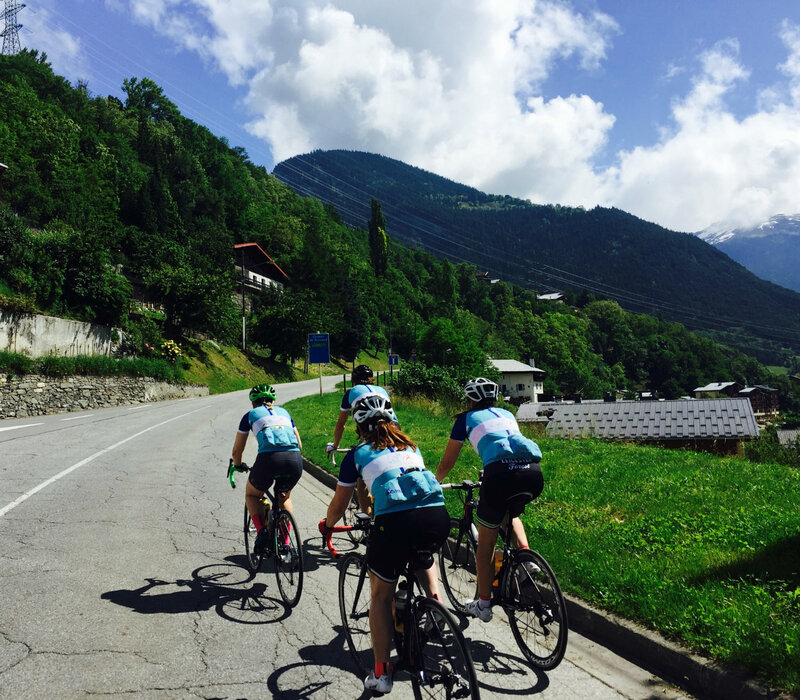 I’m so proud of what everyone has achieved in this week out here in the French Alps with the Tri La Tania team. Riding acquaintances have become friends, goals have been reached with hopefully some really great training benefits too. I now look on to the season ahead following a great weeks training with a fab group. So what next? Maybe La Marmotte next year but time shall tell! 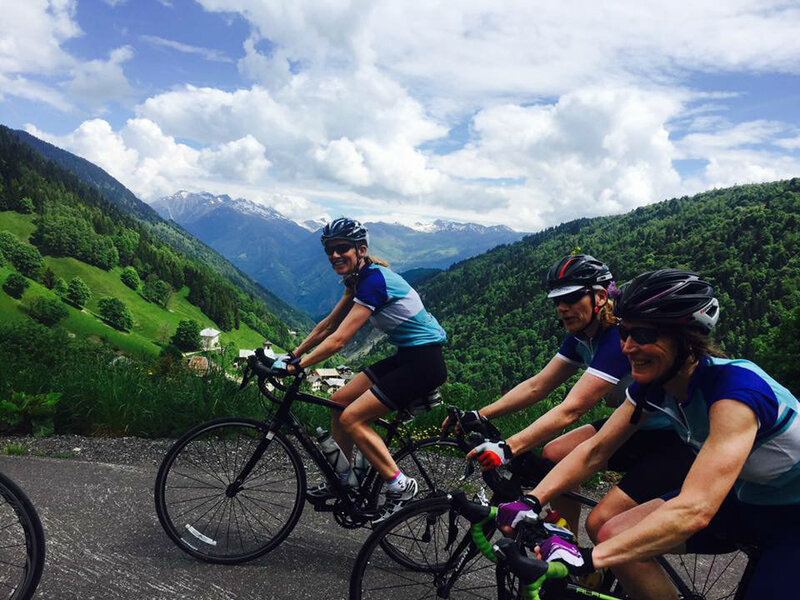 For anyone wanting to take part in a women’s triathlon or cycling training camp in the alps I recommend visiting the Tri La Tania website.